This support would manifest itself both in Egypt and Syria, where the Muslim Brotherhood, its political networks, and armed groups built within them, served as the foundation of unrest and violence that took place under the cover of regional US-engineered political subversion often referred to as the "Arab Spring." In Egypt, the Muslim Brotherhood would succeed temporarily in seizing power. In Syria, the Brotherhood would trigger violence and eventually devastating, protracted war. And this is precisely what is now unfolding all across the Middle East and North Africa. A cataclysmic conflict driven by sectarian extremists waging war on minority groups across the region, with only Iran, Syria, and Hezbollah left to defend them - and with the United States and its allies doing everything imaginable to stop them from doing so. Clearly the "French and the United States," cannot reprise their role as protectors of the region's minorities, since they have openly thrown in their lot - as predicted by Hersh in 2007 and as is evident today - with Al Qaeda and ISIS. Attempts to compartmentalize political responsibility for the rise and perpetuation of extremists across the Arab World is not the only game being played by Western special interests. They have also attempted to compartmentalize the extremists themselves. 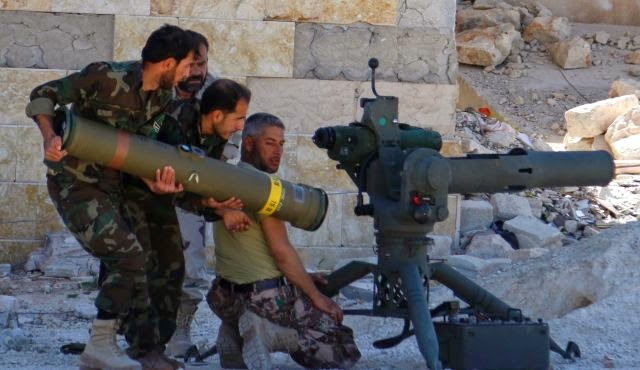 Images: Terrorists operating in Syria billed as "moderates" by the US have received weapons, cash, and other forms of support from the West. All of these groups are now admittedly are Al Qaeda, fully armed with US weapons and in possession of US cash and equipment. Since November 2011, al-Nusrah Front has claimed nearly 600 attacks – ranging from more than 40 suicide attacks to small arms and improvised explosive device operations – in major city centers including Damascus, Aleppo, Hamah, Dara, Homs, Idlib, and Dayr al-Zawr. During these attacks numerous innocent Syrians have been killed. Through these attacks, al-Nusrah has sought to portray itself as part of the legitimate Syrian opposition while it is, in fact, an attempt by AQI to hijack the struggles of the Syrian people for its own malign purposes. AQI emir Abu Du’a is in control of both AQI and al-Nusrah. Abu Du’a was designated by the State Department under E.O. 13224 on October 3, 2011, and by the United Nations under UN Security Council Resolution 1267 on October 5, 2011. Abu Du’a also issues strategic guidance to al-Nusrah’s emir, Abu Muhammad al-Jawlani, and tasked him to begin operations in Syria. For readers who may have believed the US State Department's claims that "al-Nusrah has sought to portray itself as part of the legitimate Syrian opposition while it is, in fact, an attempt by AQI to hijack the struggles of the Syrian people for its own malign purposes," they may be shocked to discover that now, apparently, al-Nusra is considered by the US and its allies among the "legitimate Syrian opposition." Of course, Nusra is already harbored, aided, armed, and abetted by NATO, using NATO territory in Turkey as a base of operations. And while Reuters attempts to portray Nusra as "the enemy of our enemy," claiming the rebranding and boost in funding would help them fight the "Islamic State," by all accounts Nusra and ISIS are already one in the same. already seen during the US occupation of Iraq. Indeed, the "Islamic State in Iraq" was fictional. It was Al Qaeda all along, just like the "Islamic State in Syria and Iraq" or "ISIS" is also fictional, a functionary of Al Qaeda and the foreign interests sponsoring it. The reality of this couldn't be illustrated any more perfectly than with the case of Libyan terrorist Abdelhakim Belhadj. Having been a member of the "Libyan Islamic Fighting Group" or LIFG for decades, he would literally travel to Afghanistan where he would fight American soldiers in the wake of 9/11. He was even captured and enrolled in the United States' infamous "rendition program." Upon release from prison in Libya, he would promptly organize and lead armed rebellion against the government Muammar Qaddafi, with extensive NATO arms, cash, and even air cover. A 2007 West Point Combating Terrorism Center (CTC) report examining the demographics of foreign fighters caught in Iraq fighting then occupying US troops would reveal that the NATO-backed rebels in Libya led by Belhaj were in fact fighters drawn from the Libyan Islamic Fighting Group (LIFG) listed by both the US State Department and UK Home Office as a foreign terrorist organization. Image: US Senators John McCain and Lindsey Graham pose with senior Al Qaeda leader Abdulhakim Belhaj, after NATO delivered the nation of Libya to him and his terrorist organization in 2011. Belhaj is now reportedly operating under the banner of ISIS. In essence then, the United States and its NATO partners knowingly and willfully handed the nation of Libya and its people over to Al Qaeda. 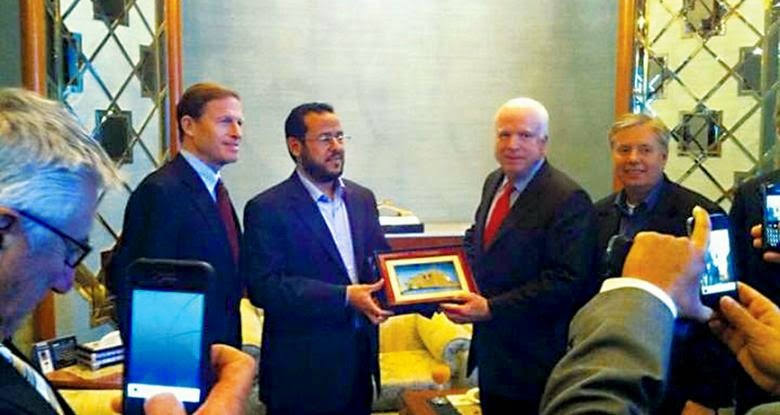 Despite Belhaj's documented terrorist past and present, US politicians would meet with him, showering upon him accolades, praise, and continued political and military support. Among these politicians were US Senators John McCain and Lindsey Graham who met and literally shook Belhaj's hand while standing upon the ruins of Libya. That McCain and Graham are both Republicans supporting terrorism, alongside a Democrat US President also allegedly supporting terrorism, illustrates perfectly that special interests own and control both sides of the political aisle, using opposing rhetoric to appeal members on either side, while both sides carry forward the exact same agenda. Major news out of Libya as Abdelhakim Belhadj, the former head of the al Qaeda-linked Libyan Islamic Fighting Group, and a major player in the U.S.-backed overthrow of Moammar Gadhafi, has reportedly joined the Islamic State and is leading its forces there. This according to The Blaze National Security journalist Sara Carter on Twitter, and Fox News’ Catherine Herridge in a Fox News report. The black flag of ISIS flies over government buildings. Police cars carry the group's insignia. The local football stadium is used for public executions. A town in Syria or Iraq? No. A city on the coast of the Mediterranean, in Libya. This means that US politicians served a direct role in propping up ISIS in Libya, whether they claim it was incidental rather than intentional - a cautionary tale to be told as these very same politicians attempt a repeat performance in Syria and beyond. 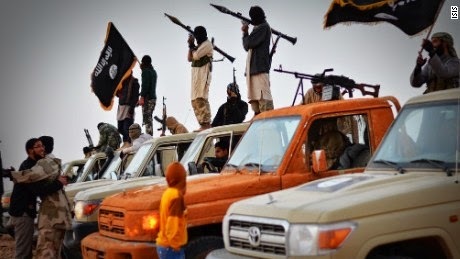 The rebranding of NATO's terrorist proxies in Libya and attempts to literally back and arm Al Qaeda's Nusra front in Syria portend an impending conflict of a scale yet to be seen - one involving Libya's neighbor Egypt, and Syria's neighbor, Iran. Egypt narrowly escaped subjugation by the West through the very same Muslim Brotherhood networks used to destabilize and destroy Syria. 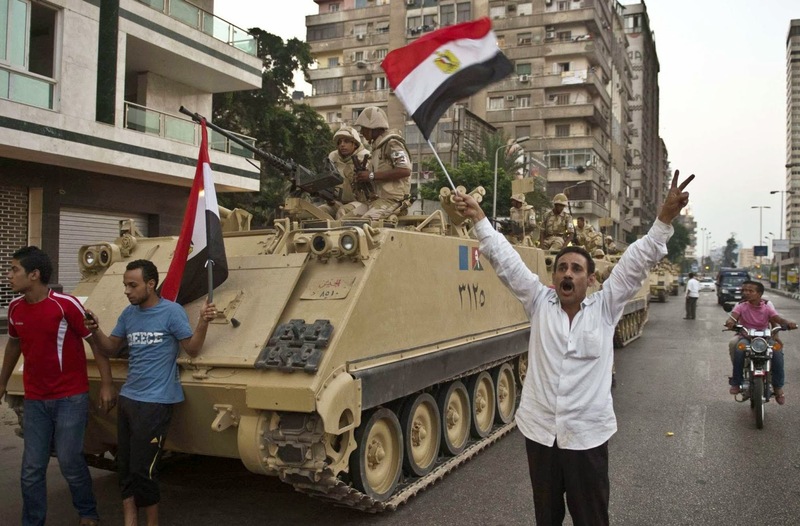 After initially bending to the sociopolitical currents unleashed by the 2011 "Arab Spring," the Egyptian military sprung back, ejecting the Muslim Brotherhood from power amid a military coup. 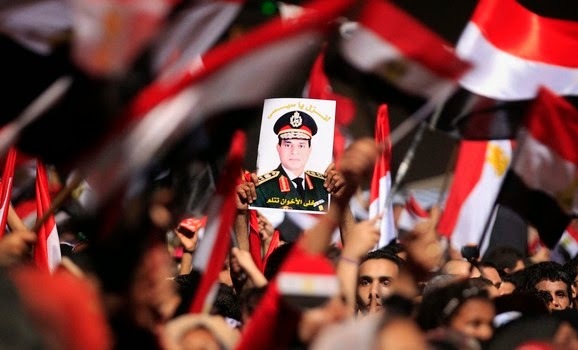 Egypt's new military-led government moved with merciless lighting speed in suppressing the Muslim Brotherhood domestically. Hundreds of Muslim Brotherhood members, including leaders have been rounded up, tried, and sentenced to death. The military-led government has exhibited zero tolerance both for militant groups within their borders, and street demonstrations agitated by US NGOs and used for cover behind which militants operate. All of this was carried out, as drastic as many of the measures may seem, with the intention of sparing Egypt the same protracted conflict Syria is now suffering. The failure of the West's "Arab Spring" putsch with the fall of the Muslim Brotherhood, and its subsequent inability to stoke sufficient unrest from within Egypt's borders has led to the sudden and convenient conjuring of ISIS in neighboring Libya. Already, heinous acts of barbarity have been carried out against Egyptian citizens residing in Libya for the sole purpose of stoking sectarian flames within Egypt's borders. Egypt has responded by supporting military factions in Libya fighting Belhaj's sectarian extremists, now operating under the banner of ISIS. Egypt has also conducted airstrikes on Libyan territory itself. As NATO's proxies commit to ever bolder acts of provocation, the conflict is set only to expand. 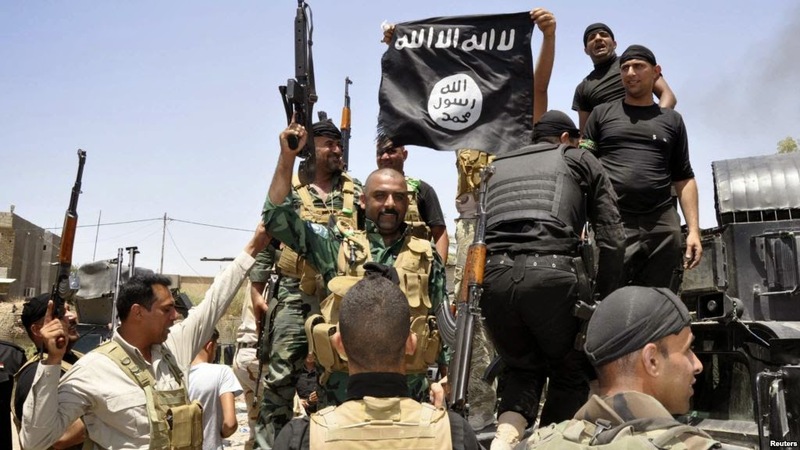 What is to come, and the purpose of unveiling ISIS in Libya, is a torrent of terrorism and militancy, backed by NATO, aimed directly at the Egyptian military and - if possible - into the heart of Egypt itself. Egypt, with a population of over 80 million people, if made to suffer the same sort of protracted conflict Syria is now suffering at the hands of Western backed terrorists, would cost an immeasurable loss in life and destabilize not only both North Africa and the Middle East - across which Egypt's sphere of influence lies - but also endanger international shipping through the Suez Canal and threaten Europe with an influx of refugees fleeing what would be a war zone of unprecedented modern day dimensions. Either as part of a strategy to destabilize and destroy Egypt, or to excise from Cairo geopolitical concessions including the abandonment of Syria as well as Egypt's backing amid increasing hostilities toward Iran, the West's use of ISIS in Libya is yet another manifestation of what veteran journalist Seymour Hersh warned about in his 2007 report. ISIS will form the foundation of a regional mercenary force aimed conveniently at the hearts of each and every one of Wall Street and Washington's enemies, while suspiciously, ISIS spares all of the West's allies. The ongoing violence in Libya and Syria is only the beginning. Should Egypt and Iran be mired in the same widespread violence, fueled by billions upon billions in cash, equipment, and weapons flowing from all corners of the Earth into the region, the "cataclysmic conflict" warned about in 2007 will finally come to pass. Image: While NATO is clearly threatening Russia's borders in Ukraine, it is also creating a united front of sectarian extremists that will push through Russia's southern region. This is essentially Adolf Hitler's invasion of Russia, in slow motion, using the methods of 4th generation warfare - Operation Barbarossa and the Afrika Korps accounted for. It will not end in the Middle East. If successful in establishing hegemony there, the chaos will spread to all corners of the globe. First to southern Russia and western China, then beyond. The question of whether or not one will eventually be affected by this conflict is not a matter of if, but a matter of when. This is not "Obama's" war. Nor is this a "Republican" or "Neo-Con" war. This is a war for global hegemony waged by the corporations, banks, and institutions upon Wall Street and in Washington that transcend elections and own parties on all sides and in all corners of the current, prevailing political paradigm. Appealing to a political party controlled by these interests is the very definition of futile. 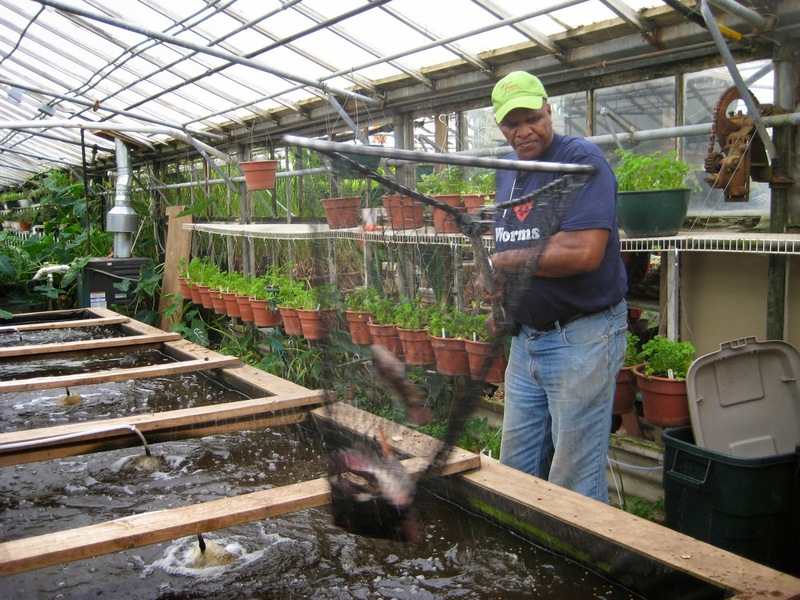 Image: Growing your own food locally can be profitable and satisfying. It is also one of several means of localization with which to undermine and redistribute the immense concentration of unwarranted power and influence enjoyed by the corporate-financier interests driving chaos globally. In order to undermine and uproot these special interests, these corporations, banks, and institutions must be replaced by local alternatives - on a national level around the planet, and on a provincial, state, and local level within each nation. It is not merely "Walmart," "Pepsi," or "Exxon" themselves as corporations, but rather the concentration of power, wealth, and influence these corporations collectively represent. Often it is the same board members and financial interests holding stakes in each corporation, and it is this handful of shareholders that in turn, fund policy think tanks behind policy papers engineering wars of aggression, including the current proxy war being waged through "ISIS" and "Al Qaeda." and influence being abused by immense corporate-financier monopolies. Decentralizing these vast monopolies through the creation and proliferation of local alternatives will systematically undermine their capacity to wield the unwarranted power and influence they currently enjoy. Whether it is decentralizing big-retail, big-telecom, big-pharma, or big-auto in general, or targeting specific monopolies like Facebook, there are already people working around the world to make this happen and simply need more people to leave the perpetual distractions and diversions of global politics, and begin paying into localization. The alternative media has already proven the power of people turning from consumers and into producers, and the redistribution and balance of power and influence it creates. Imagine tackling all monopolies in a similar manner. While the conflicts ravaging the Middle East and North Africa seem "remote," the fact that similar chaos is now being sown by NATO on the doorstep of Europe in Ukraine, means that if left unchallenged, it is only a matter of time before these conflicts affect everyone directly, no matter where one lives. Rather than organizing protests or taking up arms in an impossible, fictional future battle against tyranny, decentralizing massive monopolies globally, and building up our communities locally is something we can begin doing today - with something as simple as planting a garden to first reduce our dependency on big-agriculture. 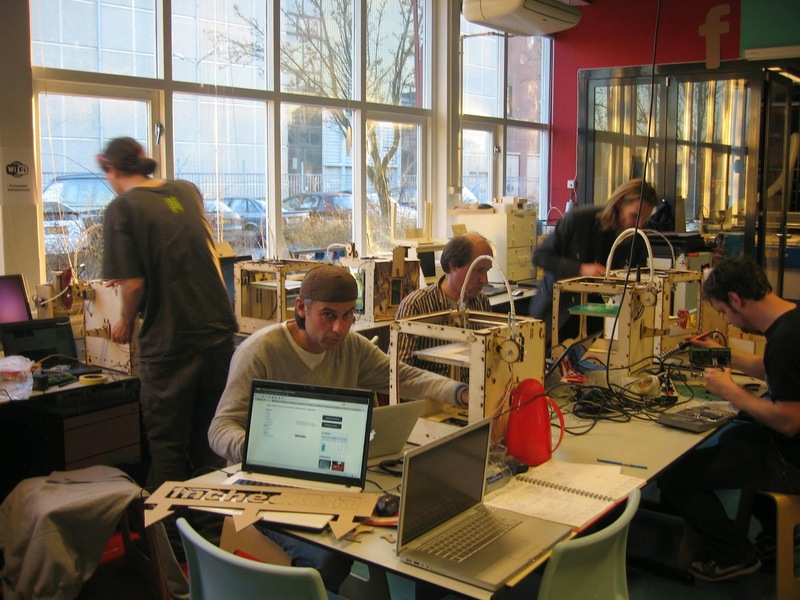 In the near future, these activities could become profitable, and before that, certainly satisfying and constructive. We have nothing to lose by trying, and everything to lose if we don't.